With the SPCA just around the corner this dog can have as much attitude as he likes. 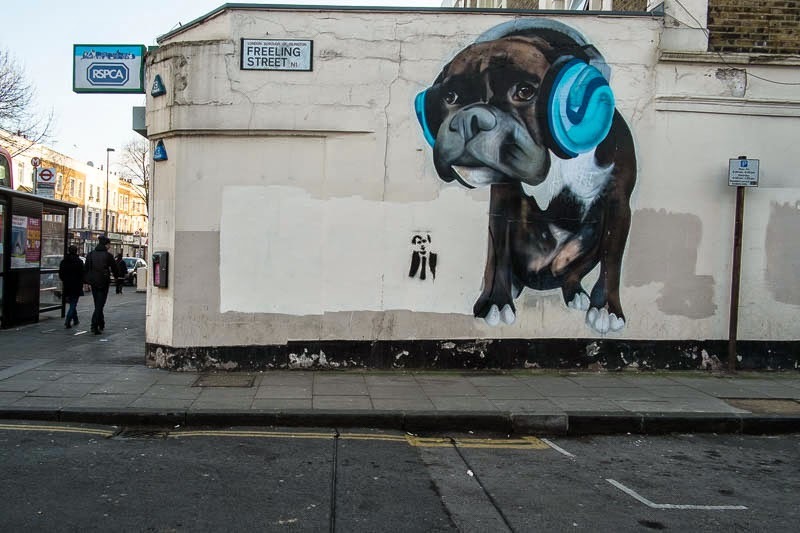 Quite a hound and quite a mural! A fine mural on the perfect kind of wall!